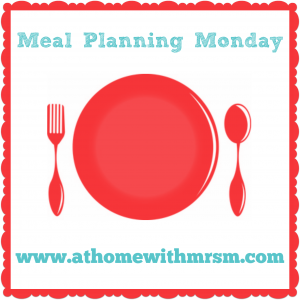 Another Monday, another meal plan! How was your weekend? Ours was hectic from start to finish. I’m in need of a long weekend but the wedding and honeymoon is sapping all my annual leave for this year so I’ll just have to be patient and wait for the Easter Bank Holiday. Weight loss wise I managed to put 1lb on at Slimming World last week and I can’t figure out why. My consultant reckons it could be from such a big loss the week before that my body is trying to settle itself or gym means muscle or Mr T thinks it’s from being at the gym just before weigh-in and maybe my muscles were swollen. Whatever the reason I was gutted but I resisted the urge to binge on chocolate as I knew I had a bit of a bad food weekend coming up. I had a bit of pizza on Friday night, a burger for lunch on Saturday from Meat Liquor, some snacky treats at a house party on Saturday night and a small sliver of cake on Sunday. I’ve worked out my syns for the rest of the week and I’ve no reason not to stay on plan. Even with the bad food over the weekend I’ve done my best to eat well the rest of the time. Friday – Steak! I’m doing the food shop straight from work so I’ll be starving when I get in. Steak is quick, easy, and healthy and Aldi steaks are so tasty! Saturday – Going to friends for tea, I’m bring pulled pork, she’s making ribs and there will be dessert of course! It really is the best. I love salt and pepper anything haha, its a great flavour combo! I love quirky little supermarkets too, the more random the stuff the better. We have Asian/Indian style supermarket near us too and it's great for making proper authentic curries. lol can't beat a good sunday roast! I can't wait til lamb is in season - yum!